ITTA BENA, Miss. 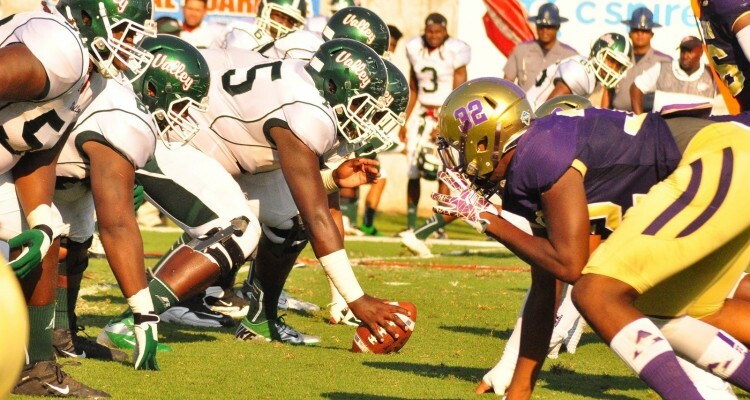 – Mississippi Valley State released its 2016 football schedule on Sunday. The 11-game schedule features nonconference matchups against a FBS opponent and a traditional FCS powerhouse. The Delta Devils will open the season in Ypsilanti, Mich. against Eastern Michigan University on Sept. 3. Their home season opener will take place on Sept. 10 at 4 p.m. when the Bulldogs of Alabama A&M visit Rice-Totten Stadium. On Sept. 17 MVSU will travel to Houston to face Texas Southern, before returning home for a two game home stand to host Prairie View A&M on Sept. 24 and then Jackson State Oct. 1. For the first time in school history MVSU will travel to Missoula, Mont. to face the University of Montana on Oct. 8, followed by an Oct. 15 trip to Montgomery, Ala. to face off against Alabama State at 2 p.m.
Homecoming at “The Valley,” is set for Oct. 22 at 2 p.m. against Grambling State, before the Delta Devils play two of their final three games on the road. MVSU will play at Arkansas-Pine Bluff on Nov. 5, before playing their final home game against rival Alcorn State Nov. 11 and playing their final game of regular season against Southern on Nov. 19.